The ancient Eastern belief says that your face is your fortune. Change your face, and you alter your fortune. Traditional Chinese physicians also believe that just by looking at your face, one can gauge your general health and life expectancy. Believe it or not, how you look actually reflects a lot on the state of your health. Read on to find out if you fall victim to these common health-related facial mishaps, and fret not if you do, the solutions are laid out for you as well. Over-exercise can deprive your facial skin of receiving the right amount of oxygen and leave you looking tired, drawn and gaunt. As much as women are always seeking ways to stay slim, too much dieting may make you look too skeletal for your frame. Losing too much fat leads to loss of volume in your face, which shows up as sunken cheeks and sunken eyes. That’s definitely not how a healthy person should look like. When my patients lose too much weight, they end up with saggy skin because they lose so much volume on their faces, much like that of a deflated balloon. Eating healthy is key. Next, exercise in moderation and focus not only on cardiovascular fat-burning workouts, also add strength building and muscle toning reps to your fitness regime. Volume High Definition Lift is the go-to quick fix to replenish and restore gaunt, sunken faces without tell tale signs of “whodunnit”. Its natural volumizing effects act instantly to lift sagggy jowls and lift deflated cheeks. These youth-enhancing effect last up to 18 months with no downtime required. High levels of stress can lead to hormonal imbalances that manifest as facial swelling, definitely not a good sign. Alcohol is another common culprit for facial swelling as over consumption of alcohol can negatively affect the process of collagen production, making your facial skin flaccid. Not to mention the broken capillaries, facial flushing and various unattractive facial signs that come with it. Adopt some clever stress-reducing techniques to improve your mental well-being. Meditation even for as short as 5 minutes a day has been shown to drastically drop stress levels in as short as a week. Switch from stronger tipple to lighter mixes when imbibing in cocktails with your mates. If you must drink, give your liver enough time to detox fully by stipulating at least two alcohol-free days a week. A good non-surgical skin tightening treatment would be Ulthera. This FDA-approved treatment has been shown to leave face looking visibly younger and in some cases, slimmer around the lower jawline. Ulthera’s deep focused ultrasound targets deep collagen, coaxing them to firmer heights in just one session. I find that patients with heavy set faces do best with Ulthera, as this deep skin lifting therapy not only tightens but also slenderizes faces. Combine it with a touch of BOTOX at the jawline and the effect can be stunning. While you may blame age for those wrinkles, the ultimate skin-destroyer is actually the sun. Being in the sun as fun time may be enjoyable but in the long run, its true colours will show as solar elastosis or deep skin damage. The importance is a good sunscreen is vital in preventing wrinkle formation. Whether you prefer it slathered on its own, or incorporated into your makeup as a SPF factor, you must keep your skin protected at all times, even on cloudy days. However, not all sunscreens found on the shelves are made the same, choose one that shields both UVA and UVB and goes the distance without clogging skin. To provide further protection around the delicate skin around your eyes, put on a pair of shades when needed. To repair skin that has been damaged by the sun and time, look no further than a skin renewal laser that can strip your skin of its blemished past and replace it with a fresh new coat. The Lustrous Skin Program at SW1 Clinic features the pigmentation correcting, pore-saving and dermal reviving Fraxel Light laser converts lacklustre skin to a more youthful glowing state. Poor nutrition is one of the key reasons why skin looks dry and dehydrated. The body needs vitamins and minerals that are vital for collagen building and cell reproduction to keep skin supple and moisturized. Supplement your meals with loads of greens and fruits to obtain the necessary vitamins. Make sure to have 7 hours of sleep daily and drink up! Dehydration of the body is directly reflected on your skin. If fruits are not enough, double your action with vitamin supplements that help to boost your skin’s health. Another good way to rehydrate skin is through a simple home care regime. Use organic oils such as rosehip or argan oils on your skin, providing your skin with a spectrum of regenerating and free radical fighting benefits. Want to up your game, consider Citrine Vitamin C Elixir & powder for the purest, fershest dose of vitamin C concocted by you in the comforts of your own home, delivered straight to your skin. Drinking too much coffee can cause irritated and red skin. Caffeine dehydrates the cells, causing inflammation and dryness. Also, if you work at night and sleep during the day, you may lack vitamin D because you don’t expose your skin to the sun at all. Cut down on your caffeine addiction to one cup per day or replace coffee with another alternative like fruit juice or soy milk. To get enough vitamin D, try to sunbathe every day — but don’t forget the sunscreen. Instead of piling on the colour correcting concealers, invest in something permanent to erase the patchy redness. A redness-busting therapy that has garnered a loyal following amongst the jetset Harmony Skin program. Not only does it help to neutralize the redness on the skin, it also helps to repair broken capillaries to get rid of flushing and give you a luminous radiance. Lack of sleep and an unhealthy diet contribute to dark circles under your eyes. Tobacco and alcohol consumption also have a negative impact by giving you puffy eyes. Get at least 7-8 hours of sleep every night and keep an active lifestyle, a healthy diet works wonders on tired skin as well. Dark circles don’t seem to disappear with eye cream, despite how the ads advertised. An effective treatment is the Eye Illuminator Program that combines undereye Revitalift fillers, special fillers designed to increase skin health and thickness of the periorbital skin, and laser toning, which promotes circulation under the eyes. In combination, they do wonders to ease darkness and fill out depressions and lines. Regular sessions can effectively camouflage eyebags and bulges for a smooth eye-cheek transition. If your diet is rich in fats and sugars, it may be the reason for your acne problem. Hormonal changes during menstruation or pregnancy could also cause major breakouts on your face. Regardless of what the cause is, it is important to always keep your face clean and detoxify your skin from the inside by eating healthy food. Cut down on sugars, found in processed foods and sodas and keep your diet rich in food from natural sources. The three pillars of acne treatment are acne creams, anti-acne lasers such as the FDA-approved Vbeam and radiofrequency devices such as Exilis, besides the usual medicines. Be sure to consult a professional doctor to assess your skin’s condition to derive the treatment that suits you. 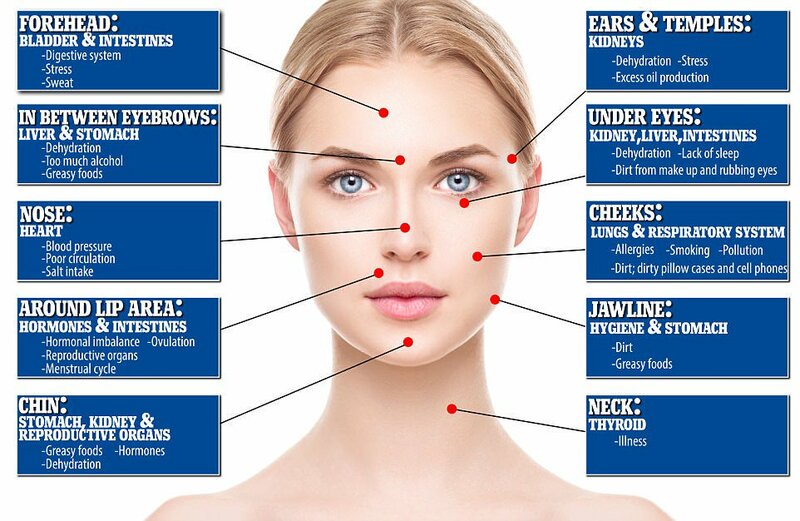 Studies have shown combintaion treatments have a higher and quicker success rates than a single treatment; that’s why Purity Program offers the best of both worlds using a pulsed dye laser to clear acne and redness and Exilis to reduce oil and shine as well as smoothen over acne scars.